Fight for your ideas and fully assume the contrasted colors. Very elegant, and eye-catching for sure! CV template to download "Fighter"
The Fighter Resume has one of the most creative CV designs we have! 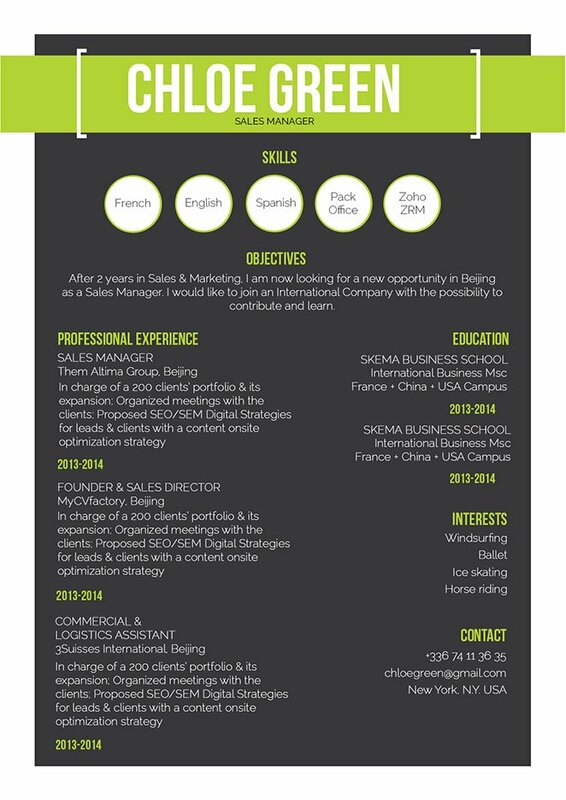 This modern resume template uses a perfect selection of colors, shapes, and texts that is sure to catch the eye of any recruiter. Applicants who have a great set of qualifications will find this resume perfect as its creative design makes all the key content readily accessible to the recruiter, which also makes this CV perfect for any type of job application! 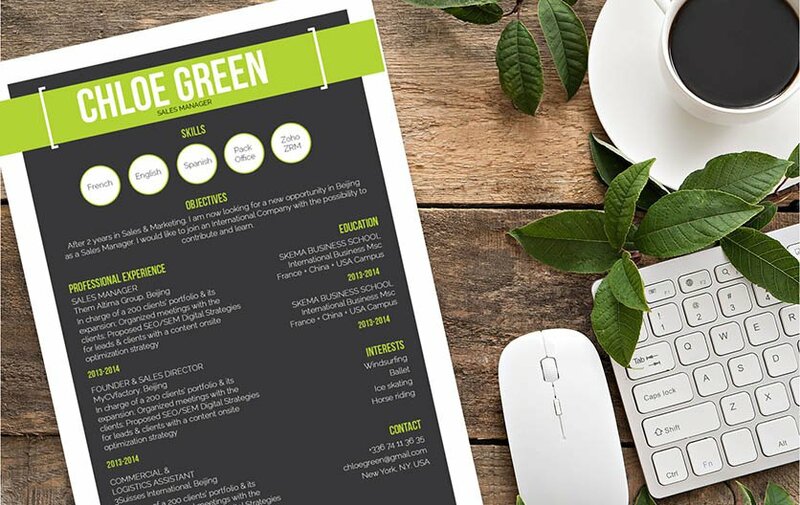 Create a resume that can effectively grab the attention of any employer! Give it a clear and comprehensive format that is straight forward, with any fuss, this make can make the difference of you getting the job or not. It’s important that you make all the key phrases in your CV stand out. In-coming resumes are typically scanned for about 10-30 seconds—it doesn’t get a full reading the first time through! In that short amount of time, the readers must have already seem the important bits of information that you want to convey. Make each sections of your CV short, but dense with information, and break down complex parts into smaller, bit-sized pieces that are easier to read.